USA Building Supplies prides itself in carrying all of the necessary products to help complete your mailroom, including several different styles of mailroom tables. 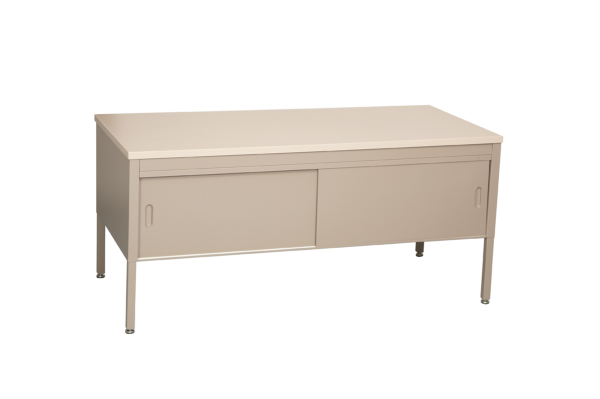 The STA Series of mailroom tables are offered in open, table with bottom shelf, table with bottom shelf and doors styles. 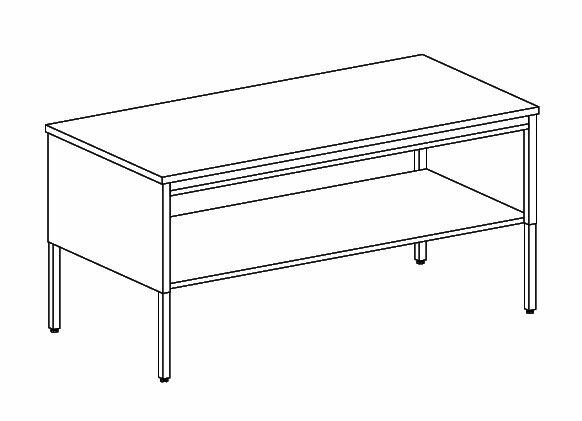 Additional modification options to your mailroom table are available for most models including casters to make your mobile, a lockset to secure your table doors, and a cable access hole with cover to help organize your cord cables. STA series tables can be purchased in 30" or 36" depth with ten different widths made available to meet your requirements. STA mailroom tables are often ordered to use in conjunction with USA Building Supplies' mail master mail sorter modules. Often a RMP series riser is ordered as well to maximize the space of the tabletop. 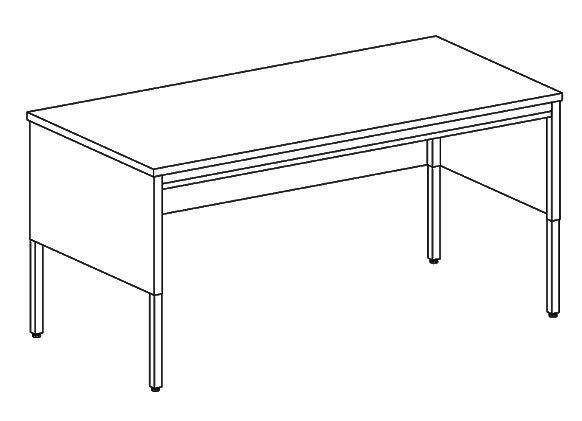 All of our mailroom tables can be easily adjusted in one inch increments from 28" to 36". Mailroom table bases are manufactured from heavy gauge steel and powder coated. The STA series table legs are fabricated from ¼" square steel tubing and coated with a powder coat finish as well. Contact a USA Building Supplies mailroom specialist to help coordinate all of the necessary equipment to complete your mailroom.